The British Antarctic (Terra Nova) Expedition, 1910-1913, on which Captain Robert Falcon Scott and four of his companions perished whilst returning from the South Pole, is among the most important early expeditions to the Antarctic. The photographs of the endeavour taken by Herbert Ponting, constitute one of the most compelling visual records in the history of exploration. 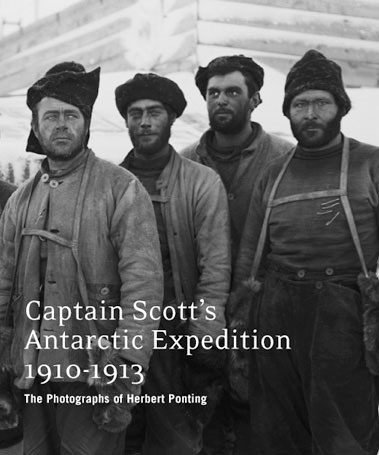 Thanks to a collaboration between Salto Ulbeek publishers and the Scott Polar Research Institute, a selection of Ponting’s Antarctic photographs are presented for the first time using the platinum printing process, a photographic technique renowned for its exceptional aesthetic and archival properties.